The peaceful kingdom of Jordan enticed Cultural Heritage TravelingMom to a first visit just because she could. Intent to delve deeper, perhaps listen more carefully, and connect more of the dots of history propelled her back to Jordan. 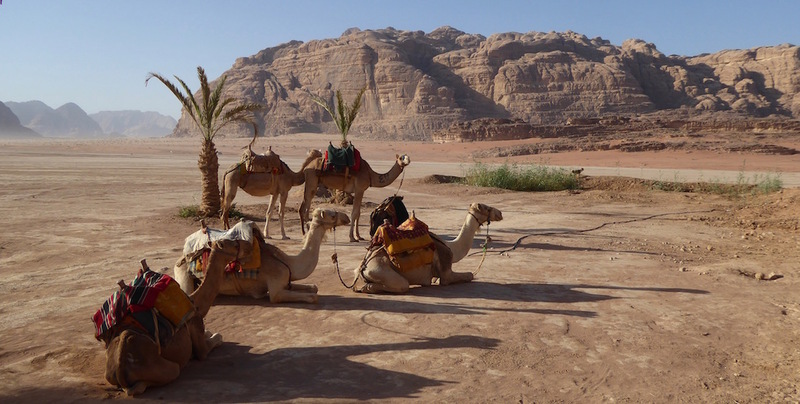 Read on for five reasons to revisit travel to Jordan. Instinct told me to go back, travel to Jordan for the second time, to delve more deeply in what had already been astonishing immersion. This is a culture, both nomadic and peaceful, adventuresome and hospitable. And safe. Doubt I knew the answers in any depth until I got there, but now I do. And I think they are applicable to repeat travel elsewhere, especially places so different from home. So I’ll share my five reasons for revisiting travel to Jordan. Visual overload overwhelms me, and Jordan produces one new sight after another. All the women (almost) in hijabs and abayas, a few in total-coverage burkas. On my first travel to Jordan, I did a lot of staring, in a total fascination and respect for another culture. Travel to Jordan: Graceful Arabic letters on centuries-old walls inspire musing. Photo by Christine Tibbetts, Cultural Heritage TravelingMom. Travel to Jordan for the second time allowed me to be able to embrace and admire more. When my reactions were not consumed with asking myself, “Why would they wear that? Why would they persist as nomads instead of accepting modern gadgets,” I was freer to simply accept and engage with Jordanians in their environment. Adventuresome eaters dive right into foods looking little like meals at home, but lots of travelers are wary when it comes to protecting their gut and their taste buds, right? First travel to Jordan: I experienced some of both. On my second trip, even returning to a few of the same restaurants, I began to see culinary travel as a specific plan for a Jordan vacation. This food is culture, heritage — and satisfying. Abundance appears as important to Jordanians as is flavor; sharing with guests is an honor, not a burden. Providing more than a dozen dishes is normal. That became easier to appreciate, abandoning my Western reactions of “excess, or super-sized, or simply too much” and instead, I admired eons of tradition shared with sincerity. Astonishing view: places of current Middle East events during lunch in Jordan. Photo by Cultural Heritage TravelingMom Christine Tibbetts. It’s one thing to eat an interesting meal in a restaurant, and quite another to do so overlooking the Golan Heights and the Sea of Galilee. Um Qais the town where I did that, a Greek city filled with artists and philosophers in 332 BC. Jordan is many layered, all the time. And each time I travel to Jordan, I dig deeper into those layers. If I visit the Holy Land as a Christian, following the steps of Jesus seems the point, and many travelers think in terms of Israel. On my return travel to Jordan, I was more equipped to notice and to receive. I went inside multiple religions places of worship – and my own soul. Surely that equips me to better grasp the faith journeys of others throughout the world. Architecture in Jordan also inspires with lyrical sounds. Photo by Christine Tibbetts, Cultural Heritage TravelingMom. MOSQUES AND MINARETS – Dome-topped mosques and sky-reaching minarets fill city and rural landscapes. So do the lyrical sounds of the call to prayer five times a day, with lessons from the Koran broadcast in between. TravelingMom Tip: Can be possible to go inside when prayers not happening but tourist-accessible mosques aren’t the architectural wonders other mosques are so hire a faith-journey tour guide. CHRISTIAN CHURCHES – I attended Mass across the street from a mosque in the capital city Amman and while the liturgy was familiar, even though in Arabic, the style was bold and energetic with little children participating as much as their parents. 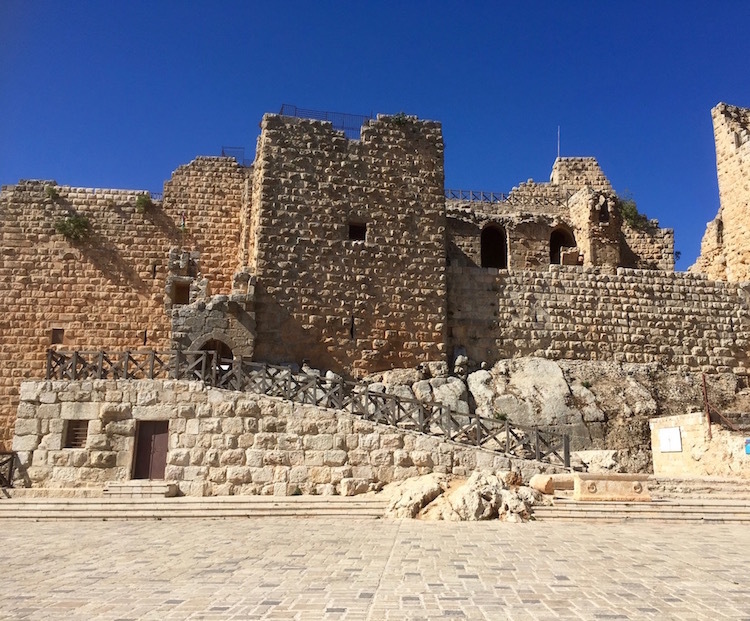 CRUSADERS – I felt like a shape shifter in the fortress in Ajloun, Jordan’s northern region where rain falls, olive trees flourish and garden veggies are lush and colorful. Think 1187, defending ourselves from the marauding Crusaders. 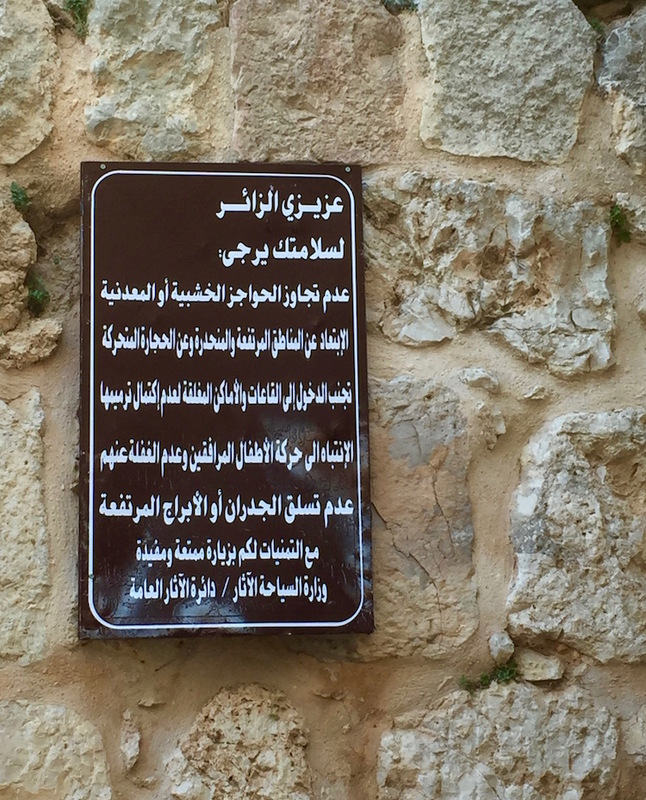 Ajloun’s mosque intrigued me too – in continuous use since 1247. 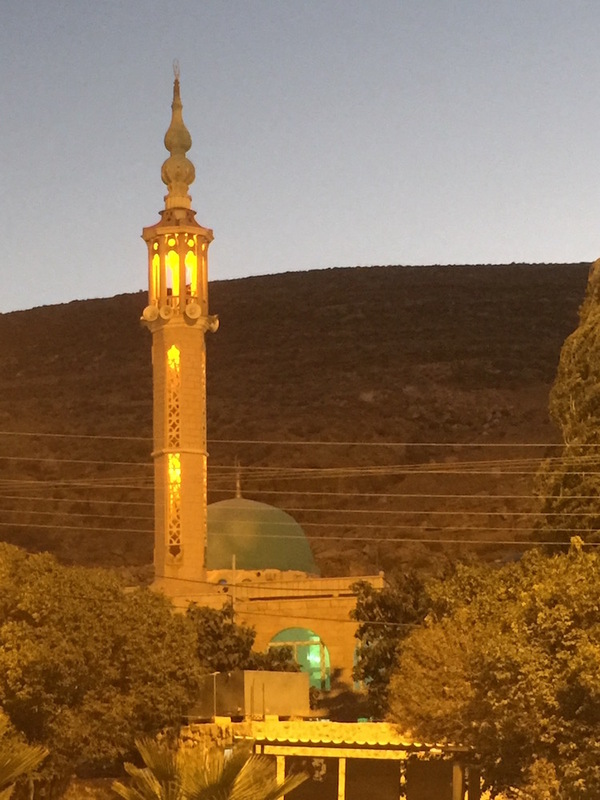 I embrace the lingering influences of all ancestors, so contemplating the gentle expressions of Islam as shared in Jordan, this was history I felt deeply. Consider the history of the Crusades in a specific fortress in Jordan. Photo by Christine Tibbetts, Cultural Heritage Traveling Mom. BIBLE STORIES – First trip I found my way to the Jordan River and admired the devotion of people with many languages immersing in the now-shallow waters, channeling perhaps the baptism of Jesus by John. The second opportunity to travel to Jordan, I also contemplated the reality of life in other eras standing in front of the cave purported to be where John the Baptist was living when Jesus found him. My time with Moses was also richer second time around. The broad sweep of the Promised Land at Mount Nebo touched me equally, but I saw more – and perhaps listened more carefully – as a repeater. Locating the lone tree, and later the still-flowing spring which Moses said God helped him find to save the people, added depth. Noticing the quarry, a darker section in the vast arid Promised Land, did too. Mosaics matter throughout Jordan but until I saw that quarry, I didn’t connect them to Moses and thousands of people journeying with intention. Archeologists study mosaic floors to determine timelines as they unearth churches, temples, government buildings and crypts. 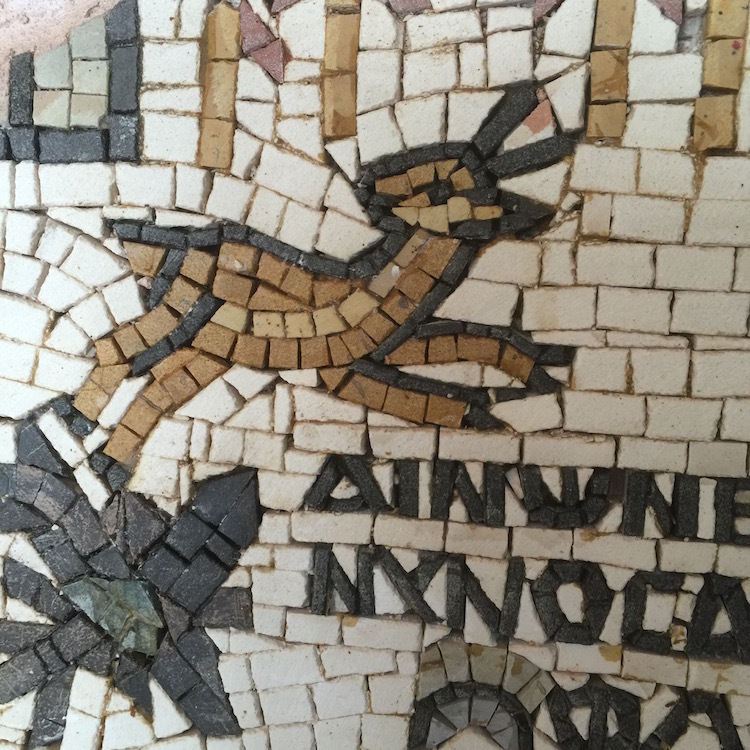 The very-modern soccer world claimed the ancient mosaic image of the Oryx in Franciscan churches to model the mascot for the Under 17 Women’s World Cup held in October 2016. Big view mosaics, or tiny: stories are told in Jordan. Photo by Christine Tibbetts, Cultural Heritage TravelingMom. A basilica dedicated to St. George in 570 AD features a mosaic floor map, yet only eight percent has been found so far. Madaba is the town to visit and Haret is the place to have lunch, a few blocks away. Queen Noor formed a foundation, teaching heritage skills to Jordanians as micro-economy development. Handicraft teaching and demonstrating centers near Madaba weave this mosaic story. 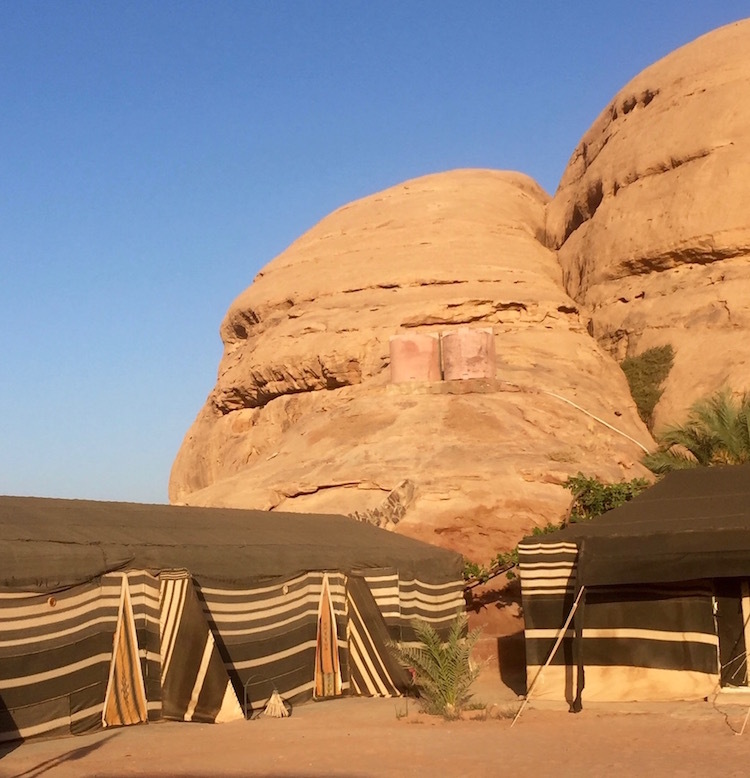 I was so intrigued with the notion I could actually sleep in a Bedouin community my first trip that – by comparison the second time – I think I just followed the leader, in awe of myself. That’s not the way to travel with context. Second time I knew the drill: simple overnight bag, flashlight, insect repellant, lots of time outside the goat hair tent watching the starry sky. Funny thing is, my second-trip Bedouin overnight was wired—electricity, Wi-Fi, plug in mosquito repellant, running water in my tent. Bedouin glamping. When survival is simpler, I notice more: gentle ways the Bedouin treated one another, prayer tent with focal point facing Mecca, musician playing the ancient six-string owd, textiles woven from camel hair. TravelingMom Tip: Book your overnight at Captain’s Camp and choose the wired experience or the unplugged. Either way, they’ll get you on a camel. Wonder where to stay in Jordan, and why? Lodging offers culture and heritage choices too. 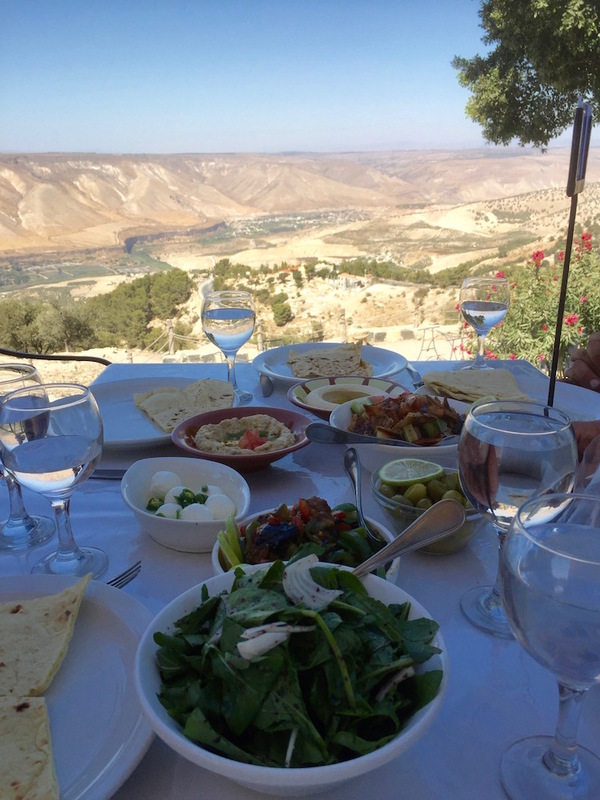 Christine, you had me at the lunch overlooking the Golan Heights. Wow! Two things come to mind: first, this makes me want to visit Jordan. Thanks for taking us there with you in this post. Second, This post makes me want to revisit a couple of places to have a different set of eyes and expectations. Thanks for your travel wisdom! The true test of a destination is if you would return. 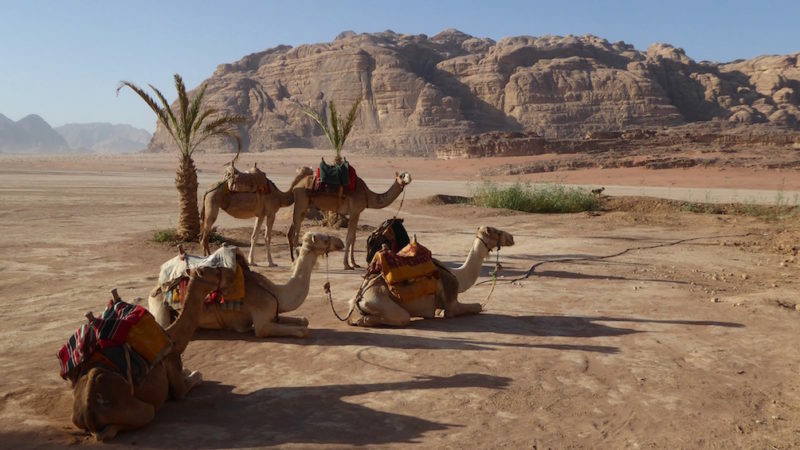 This piece displaces the notion that travel to Jordan is simply a one-off curiosity. Your points about cultural immersion are spot on.